With five generations of jewelers in the family, Bhagat has become a house synonymous with ethereal refinement. Blending tradition, modernity and worldly sophistication, Bhagat's signature has become a harmonious marriage of Mughal art and influence, and Islamic, Art Deco architecture. 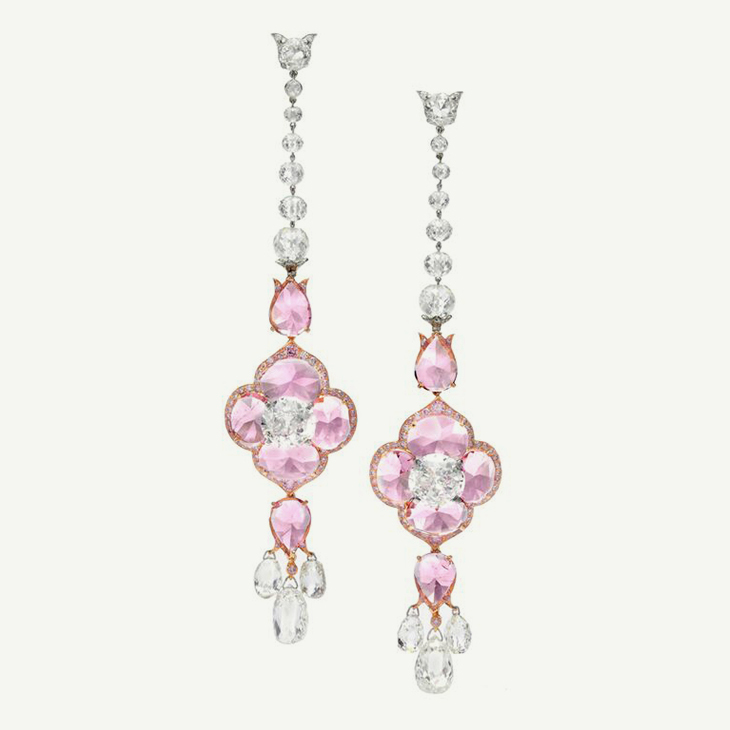 Known for use of specially-cut diamonds - often petal shaped, rose-cut slivers - A Bhagat original has become as east to spot as the Legendary Cartier Panthere, or the eponymous Hermes Birken Bag. Utilizing only the most desirable stone of the Indian treasuries - Colombian emeralds, Burmese Rubies, Golconda diamonds and Basra pearls - each one-of-kind piece is painstakingly plotted, shaped and set according to hand sketched renderings of the final piece. The result of which is nothing short of legendary.